Do you have bed bugs in Kissimmee or Saint Cloud Florida? We here in greater Orlando Florida are one of the top tourist destinations in America. The millions of visitors to Disney World and Universal Studios Orlando are great for the Orlando economy but at the same time can be a curse causing a variety of problems. Most sane men will agree that bed bugs are one of the negatives these tourists bring to our city. There is a plethora of bugs and pest insects out there that can turn your family life into a veritable hell. Bed Bugs are one of those pests. They’re epidemic here in Orlando Florida and are a dreaded blood-sucking parasite. It truly a hideous curse to be infested with Bed Bugs. Once you have an infestation of Bed Bugs, they will spread, and attack you throughout the night, and ruin any sleep you planned on getting. They cause psychological stress and worry for many sleep-deprived homeowners. The worst thing about a bed bug infestation is that they are vigilant and almost it’s a very tricky process to eliminate them once they’re in your home. 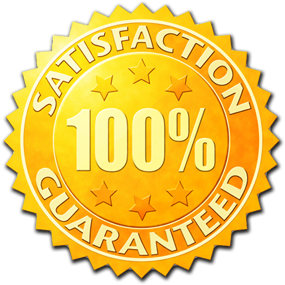 The great news is that you have found the number one rated bed bug exterminating and control company in Orlando! Year after year, Envirosafe Pest Control Kissimmee is rated the top bed bug exterminator in Greater Orlando, Florida and we have had great success ridding countless homes, facilities, apartment complexes, and businesses of bed bug infestations. Below, we have listed some of the ways your home may become infested with Bed Bugs, We can assure you, bed bug infestations have nothing to do with sanitation or filth. For the most likely bed bug scenarios, see below. If you live in Orlando and your family is visiting Disney World and using your home as a hotel, then be aware that is very common for traveling families to transport bed bugs to their host (no pun) family. If one of your guests arrive with bed bugs in tow, it’s almost a certainty they will transmit the little bloodsuckers into your residence to terrorize you and your family. Buying used furniture from anyone and or buying used clothes from thrift stores or yard sales and bringing these items into your house or business is also asking for trouble. Unsuspecting folks looking for a deal often get a raw one. A raw deal in the form of some blood starved bed bugs. Remember, Bed Bugs are These bugs are capable of living and surviving in these items for an extensive period of time. Be careful, when purchasing used items. Staying at one of the local hotels in Kissimmee may also be problematic in regards to bed bug infestations. If you’re staying at a hotel around Walt Disney World that is infested with bed bugs, the bed bugs may crawl into your luggage, clothes, or other personal belongings and hitchhike back to your house upon returning from your Orlando vacation. Envirosafe Pest Control Kissimmee recommends washing and thoroughly drying all clothes. It is unfortunate that bed bugs have become an epidemic in and around Kissimmee Florida and Greater Orlando. Literally, anyone can become a victim of bed bug infestations. Regardless of how clean you are, bed bugs may find you. Do not get embarrassed if your house or business becomes infested. Envirosafe Pest Control Kissimmee is here for you every step of the way. We are sharing some tips below on how to inspect for bed bugs. First of all, if you suspect you have been bit by bed bugs, look for the telltale signs by looking over your person and body. If you notice small red bumps random or in groups of three, these small colored lumps could be evidence of a bed bug infestations within your home. Secondly make sure you inspect all bedding including bed sheets, mattresses, box springs, and other linens like pillowcases. Look for small reddish to reddish-brown stains. This excrement is evidence of what bed bugs have left on your bedding. Look for these stains in other areas of the room too. Furniture with dark upholstery presents a great challenge for bed bug inspections as it makes the stains very difficult to see. Often rooms reek of a very subtle and malodourous musty smell if bed bugs are present. If there is something off about the smell of your room, a bed bug infestation very well may be the culprit. Year after year, we remain The Best Bed Bug Exterminator Kissimmee Has To Offer! Over the years, many exterminators have offered their services, within the Greater Orlando area. Envirosafe Pest Control of Kissimmee realized you have many choices for Bed Bug control companies. We pride ourselves on the fact we are undeniably the top bed bug extermination company in Kissimmee and we’re more than willing to help our valuable customers eliminate bed bug infestations completely. We utilized the safest and most technologically advanced techniques. Our technicians receive extensive training and are the best in the business. Bed Bug elimination is our specialty and we will have no problems leaving your house with the peace of mind you deserve. Envirosafe Pest Control Kissimmee has been in the pest control business for over 30 years. Suffice to say, there isn’t a bed bug infestation that we cannot eliminate. Call us today and we will make sure you sleep tight tonight! Envirosafe Pest Control Kissimmee stands alone in delivering safe, effective, organic pest control and bed bug extermination services in Kissimmee Florida. We are pleased and thankful to serve our many loyal customers.